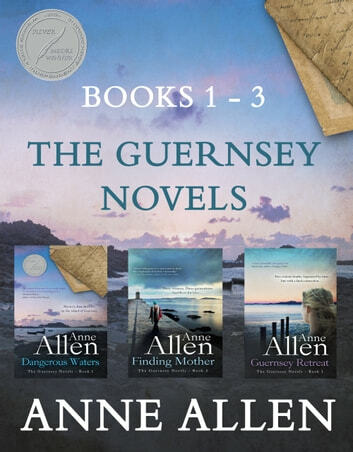 The Guernsey Novels by award-winning author Anne Allen are linked but standalone stories, which will appeal to fans of The Guernsey Literary and Potato Peel Pie Society. Only returning to sell her inheritance - her grandmother’s old cottage - Jeanne has no intention of picking up her old life. But the cottage holds a secret, dating back to World War II and the German Occupation, and Jeanne becomes drawn into discovering more. Then, soon after her arrival, a chance meeting with an old teenage crush leads her to thoughts of love. "The island of Guernsey is so vividly evoked, one feels as if one is walking its byways. An atmospheric and tantalising read." -- Elizabeth Bailey, author of The Gilded Shroud. "A sensitive, heartfelt novel about family relationships, identity, adoption, second chances at love… With romance, weddings, boat trips, lovely gardens and more, Finding Mother is a dazzle of a book, a perfect holiday read." Lindsay Townsend, author of The Snow Bride. Louisa needs to find the father she has never known, to warn him of possible danger - for them both. Her search takes her from England to Guernsey. Malcolm's journey is more complicated: conceived in Guernsey, his bereaved mother emigrates with him to Canada. Many years later he arrives in India, and from here he is led back to Guernsey to open a health centre at La Folie. This was his father's home and where he was killed at the start of the Second World War. I liked the first book in the series, however the following two books had the same theme and the reader could work out the ending. Disappointed with them both. A pleasant read though the outcomes were predictable. I would have preferred more substance in terms of the history and lifestyle of Guernsey. I enjoyed the stories each book quite independent of the others with just a meeting up or mention of the other characters we have already met. Reminiscent of Mauve Binchy including her characters from other stories into the one you are reading.